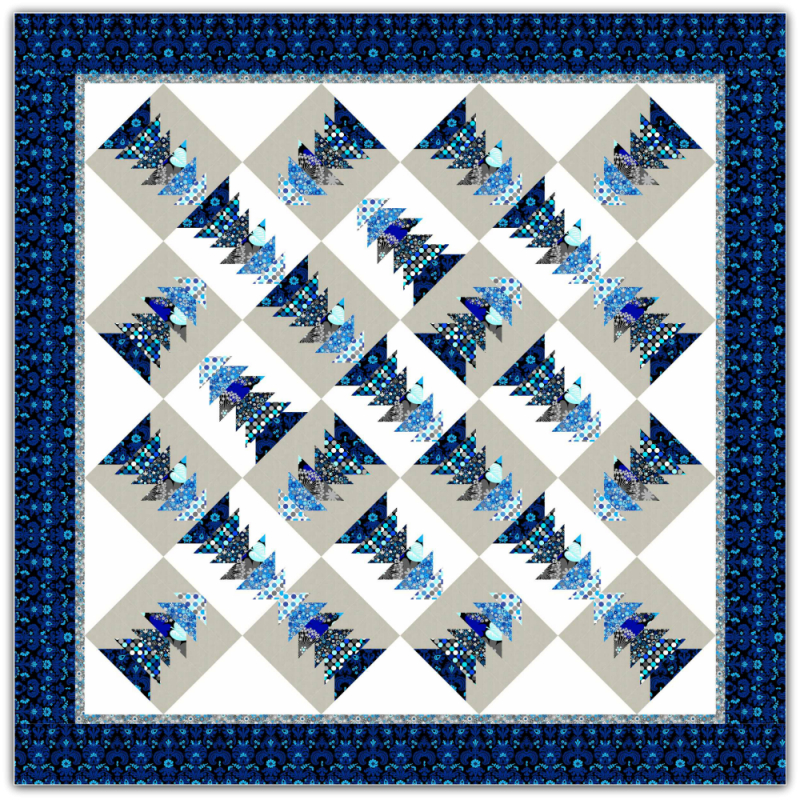 Modern Sapphire is an interesting modern type quilt. The quilt was made with the Sapphire line from Exclusively Quilters. This quilt was in an issue of The Quilter Magazine. The quilt measures 83" x 83". This quilt kit is available at Bolts in the Bathtub. Click on the link below to see the kit at their site.